The stolen Norman Rockwell painting. More than 40 years after someone stole a Norman Rockwell painting from a family home in New Jersey, the artwork is back in the owners’ possession thanks to the FBI. The painting of a chubby boy resting against a tree was a pized possession of the Grant family. Robert Grant paid just $50 or $100 for the painting, the New York Times reports. On Friday, one of Robert Grant’s sons, John, picked up the painting from an FBI agent at federal building in Philadelphia. 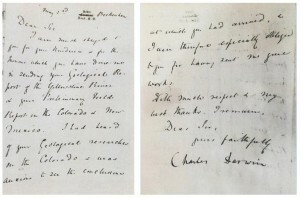 On the 40th anniversary of the painting’s theft, the FBI issued a press release about the stolen painting, generating fresh attention. It worked. An anonymous antique dealer turned over the painting. The dealer is not believed to be a suspect. Posted: April 3rd, 2017 under News Story. Leonard Peltier FBI wanted poster. American University is removing a controversial statue of a Native American activist who was convicted of murdering two FBI agents in 1977. The decision to remove the statue of Leonard Peltier came after the president of the FBI agents association urged the university to take down the work of art because it was offensive. Many Native Americans believe Peltier was wrongly convicted and sentenced to two life terms. 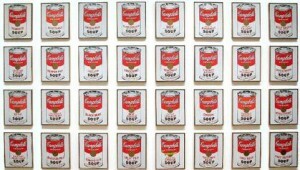 “American University strongly supports the mission of museums to present thought provoking art to inform and educate. Within the AU Museum at the Katzen Arts Center, we have hosted numerous exhibits of political and sometimes controversial art. The decision to host the Peltier statue required a more thorough assessment of the implications of placing the piece in a prominent, public space outside the museum. With the benefit of a fuller review, we have made a decision to remove the piece from this location. The subject matter and placement of the piece improperly suggested that American University has assumed an advocacy position of clemency for Mr. Peltier, when no such institutional position has been taken. Further, the nature and location of the piece called into question our ability to honor our responsibilities to ensure the security of the art and the safety of our community. Posted: January 3rd, 2017 under News Story. 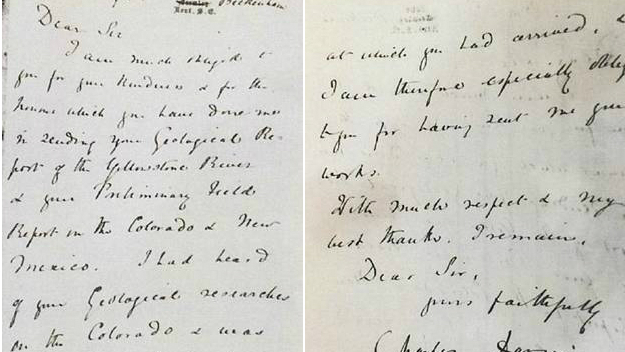 Stolen Charles Darwin letter is returned to the Smithsonian. 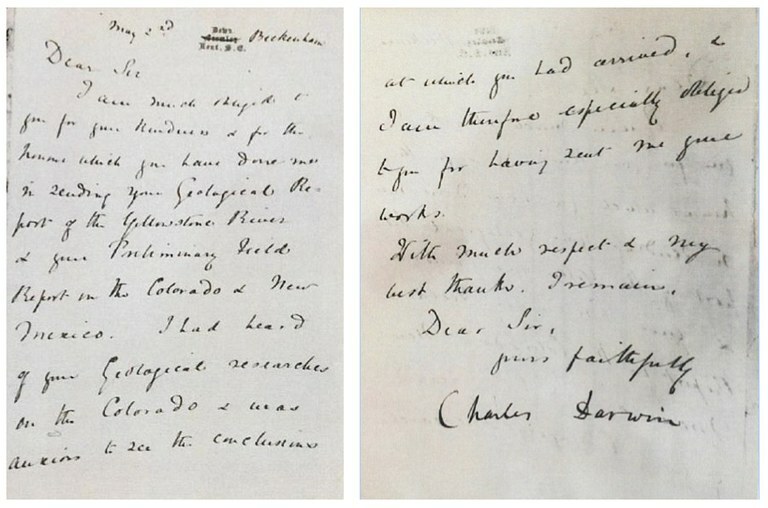 A handwritten letter by Charles Darwin was stolen from the Smithsonian Institution Archives about four decades ago, frustrating investigators and historians. 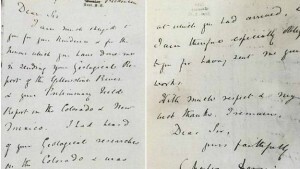 Then earlier this year, the FBI received a tip about the whereabouts of the letter written by the British naturalist and geologist known of his theory of evolution. 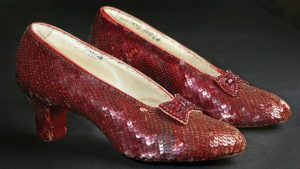 Anne Van Camp, director of the Smithsonian Archives, said she’s relieved. “This is an important event, as this type of crime is not easily detected, and it demonstrates how seriously the FBI regards our cultural heritage,” Van Camp said. Posted: July 18th, 2016 under News Story. The Norman Rockwell painting was featured in the Saturday Evening Post. The FBI is not giving up on finding a Norman Rockwell painting that was stolen from a Cherry Hill, N.J. home 40 years ago. 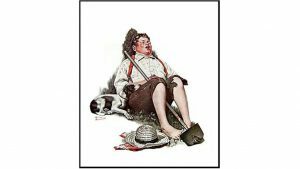 The Philadelphia Inquirer reports that FBI is issuing a new appeal to find the “Taking a Break” painting, which depicts a weary farmboy. 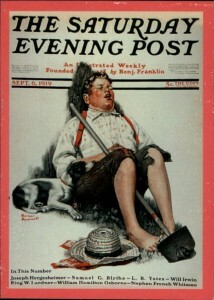 The oil painting was featured on the cover of a 1919 issue of the Saturday Evening Post. The painting was among several items stolen from the home of Robert and Teresa Grant on June 30, 1976. 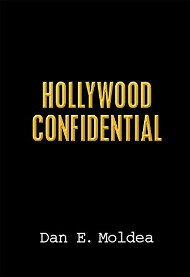 Posted: July 5th, 2016 under News Story. Posted: June 3rd, 2016 under News Story. 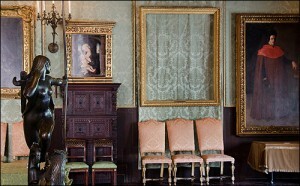 Theft at Isabella Stewart Gardner Museum in 1990. The FBI is searching the backyard of an aging mobster in Connecticut for evidence of art that was stolen two decades ago from Boston’s Isabella Stewart Gardner Museum. ABC News reports that this is the third time the FBI has searched in and around the ranch house, owned by Robert “Bobby the Cook” Gentile, who is serving 2.5 years in prison for drug and gun charges. Gentile’s attorney said his client is surprised the FBI is back at the ranch. “He laughed and he couldn’t believe they were, that they were at his house again, and he said, this is a quote, ‘They ain’t gonna find nuttin,’” attorney Rome McGuigan said. During the 1990 heist, 13 paintings were stolen. Posted: May 3rd, 2016 under News Story. 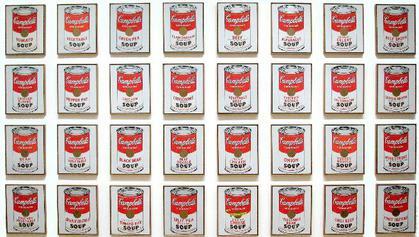 The FBI is investigating the theft of Andy Warhol’s screen prints of the iconic Campbell’s soup can from the Springfield Art Museum in Missouri. Springfield Police said the break-in occurred last week, when the museum was exhibiting “The Electric Garden of Our Minds: British/American Pop,” WTOP reports. The 1968 screen prints are worth more than $30,000 each. Posted: April 11th, 2016 under News Story.